Product prices and availability are accurate as of 2019-01-15 03:44:49 GMT and are subject to change. Any price and availability information displayed on http://www.amazon.com/ at the time of purchase will apply to the purchase of this product. 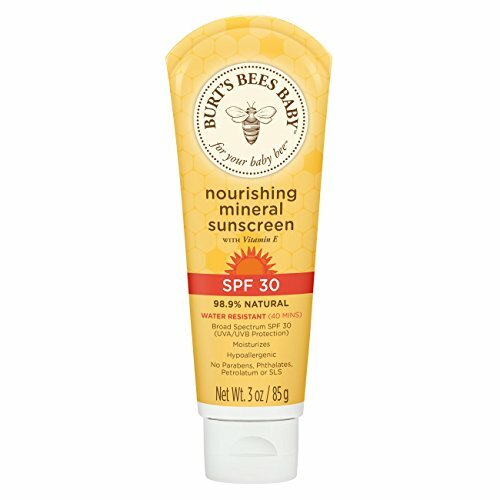 Help protect your infant's fragile skin with Burt's Bees Child Nourishing Mineral Sunscreen. This Broad Spectrum SPF 30 sunscreen is naturally safe, sourced with Zinc Oxide and Titanium Dioxide to offer UVA/UVB security for infant's delicate skin. Enriched with hydrating Vitamin E and Coconut Oil Extract, this hypoallergenic formula is 98.9% natural and water resistant as much as 40 minutes. Apply this formula freely 15 minutes prior to sun direct exposure and reapply after 40 minutes of swimming or sweating. 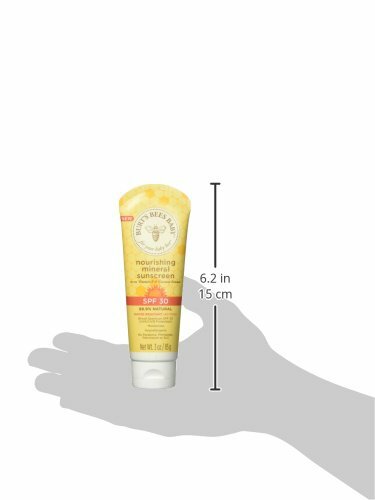 This infant safe sunscreen includes no Parabens, Phthalates, Petrolatum or SLS so you can feel good about slathering this on your child.